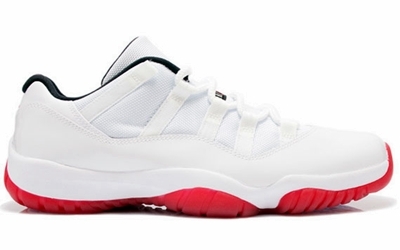 Air Jordan 11 has been one of the most loved and well-accepted retro shoe from Jordan Brand, making huge waves everytime it is being released in the market. This May 5, Jordan Brand is looking to get a lot of attention with the release of the low top version of the sneaker, which will be coming out in white/black-varsity red colorway. The silhouette, which features the original patent leather, will be hitting shelves on May 5, Cinco De Mayo. Watch out for it because this one is a must-buy! Four New Colorways Jordan BCT Low Now Out!